Congratulation to all the hardworking and deserving 2019 Oscars nominees. 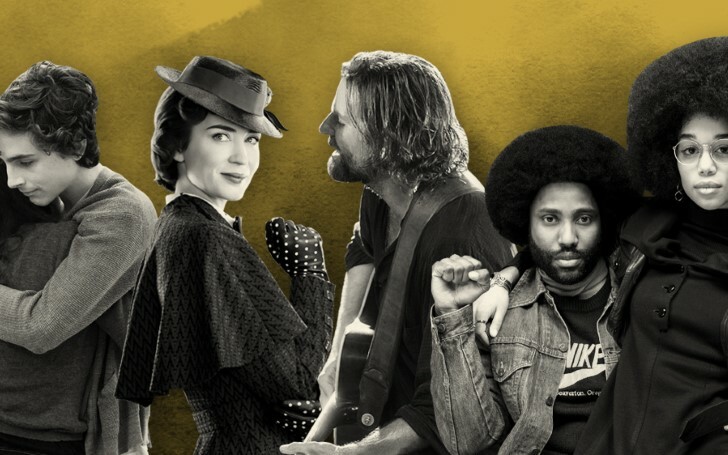 But, whilst certain people celebrate the huge groundbreaking nominations from films like Roma, Bohemian Rhapsody, Black Panther and A Star Is Born, some people sat back and couldn't resist criticizing Oscars for missing to include other notable films from last year. Right after the Academy Awards dropped all the nomination results for this year, people quickly commented on the Oscars weakness for failing to draft other movies. But, is Oscars even an Oscars without some unexpected snubs? For instance, some fans express their dissatisfaction after finding out Emily Blunt didn't make it to the best actress nomination, despite her excellent performances in A Quiet Place and Mary Poppins Returns. Not to mention, A Star Is Born, eight times nominated movie's filmmaker Bradley Cooper, not being added in the category of the Best Director. Know all the snubs Oscars failed to shortlist. Our first snub includes Timothee Chalamet who played his role decently on Beautiful Boy. Although Golden Globes and Hollywood Film Awards found the actor worthy to list them in their nominations, Oscars didn't. Maybe better luck next time, Chalamet. Ironic how Bradley Cooper directed and acted both in his eight times nominee film, A Star Is Born, yet he still didn't receive his nomination in the category of the Best Director. Congrats to Cooper on being nominated for Best Actor though. Pretty disappointing that Oscar couldn't mention John David Washington for his extraordinary work in BlackKklansman. One can honestly get crucified for listing Crazy Rich Asians as an Oscars' snub. Surely, the overall typical Hollywood entertaining film might not be an Oscars worthy, but one can't argue the fact that Michelle Yeoh's performance in the movie wasn't iconic. Many predicted that actor Ethan Hawke would get his Oscars nomination for his performance in First Reformed, but sadly he as well just landed on another snub list. Despite her magnificent performances in Mary Poppins Returns & A Quiet Place, Oscars didn't give a thought to nominate actress Emily Blunt in the best actress category. The Oscars could have justified Blunt solely for her one take bathtub shot scene in 'A Quiet place'. But, did the Oscars listen? No. Black Panther is successfully making all the noises in the news headlines for receiving it's not one or two, but eight nominations, but, unfortunately, many critiques think Oscars snubbed Michael B. Jordan for not listing in the category of the Best Actor in the Supporting Role. Prolly one of the massive snubs of Oscars 2019. Come on, the Paddington 2 at least deserved one nomination. Anyway, let's just settle this list assuming that the Oscars didn't watch the joyous and beautiful film i.e Paddington 2. How saddening and disappointing that Eighth Grade couldn't be listed in any of the Oscars nominations. The film might not have gathered huge media attention, but, everyone who watched the movie absolutely agrees it was one of the best films made last year. The truly horrifying film, Hereditary unbelievably got snubbed by the Oscars as well. Despite its great manifestation of hair-raising frights offering storyline and scenes, and not to mention the exceptional performance contributed by Toni Collette, the film received zero nomination. Maybe the Academy Awards got too terrified by watching the movie that they didn't want to summon the film again?